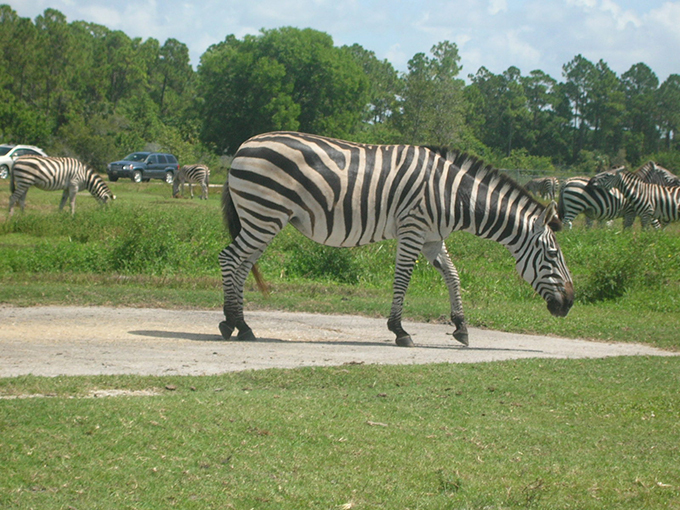 LOXAHATCHEE, FLORIDA - Opened in 1967, Lion Country Safari is Florida's only drive-through safari and walk-through amusement park. Plan to stay 4-5 hours to see over 1,000 animals on 300 acres, watch the animal feedings and displays and enjoy the rides. Coming in February 2019: A new 10,568-square-foot interactive water play area featuring dump buckets, water cannons and water slides. Copyright 2019 Airlines for America (A4A). All rights reserved. From http://airlines.org.